As a fan and collector, you're always on the lookout for archive material that is undiscovered, especially demo's, video footage, photographs etc. But every so often you find a more recent item, yet one that is equally as exciting to find and the following photograph by Rick Henry is one such item. 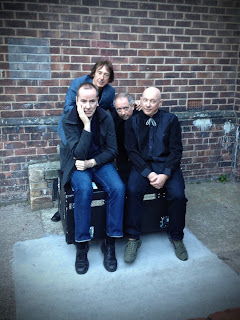 The photo of Howard Devoto, Steve Diggle, John Maher and Pete Shelley from 2012 really blew me away and I'm really very grateful to Rick who has kindly allowed me to share this on my blog. It's one of those photo's I wish I'd taken myself. 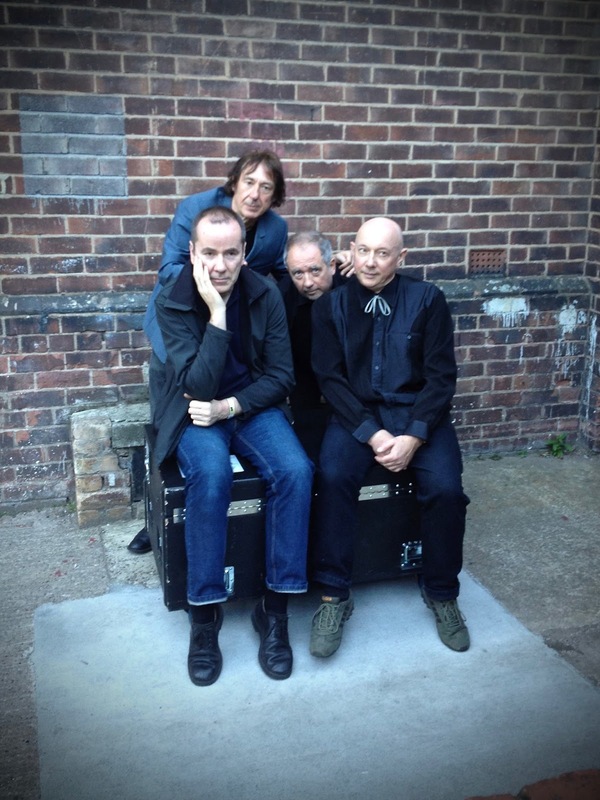 I think they're all looking at Ian Rook's camera who took a photo on the day of the Manchester B2F gig trying to recreate the Spiral Scratch cover. I've seen Ian's photo - it's brilliant.